Guest blogger Lillian Connors shares some interesting ways to achieve an industrial look for your home. Until recently industrial wasn’t a style at all, it was a way of life. But nowadays people who are interested in design are amazed how we are able to restore barns, warehouses and old industrial buildings. Its attraction lies in its basic architecture, salvaged and reused objects, and its practical surfaces. It suddenly became a big trend in the interior design world and it looks like it is here to stay. This style can be found everywhere from renovated lofts to multi millionaire mansions. 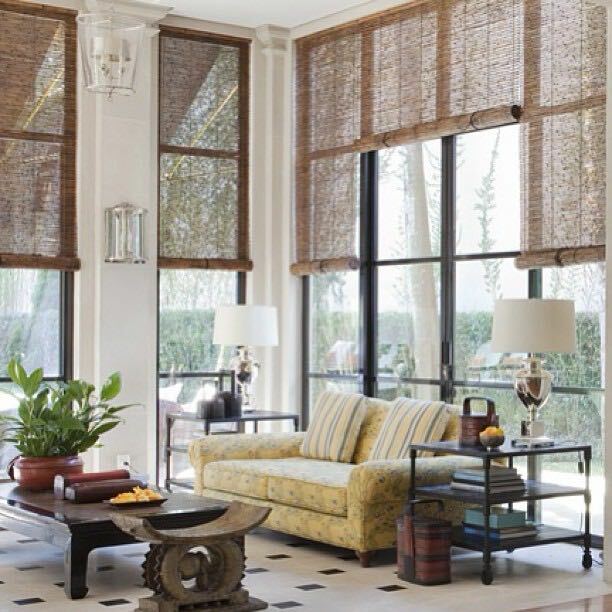 Here are some suggestions on how to bring this style into your home. In order to decide how are you going to redecorate your interior with industrial style elements, first you will have to find out what details you prefer. Try looking around your city and find some buildings that have a long history and you might stumble upon something very interesting that catches your eye. Look in warehouses to see some exposed brick or steel columns that don’t have a drywall on them. Maybe you’ll fall in love with timber roof trusses. Since the industrial style became popular, many old buildings were given new life. Visit your downtown to look for some of those buildings, keep an eye on warehouses, barns and manufacturing facilities that were turned into office spaces and condos. You could use artwork to introduce industrial architecture into your interior. Try using murals, bold graphics or paint a bold symbol on an exposed brick wall to express your design style, this can be done in all parts of the apartment or house. Use ideas you collected around the city and create your own artwork. Numbers, letters or abstract images it can all go on a wall in your home and turn a boring interior into art. If you try combining older architectural details with modern styles you will bring new beauty into your home. This is very noticeable in the kitchen. Most modern day appliances have stainless steel or your kitchen cabinets will have wood panels that resemble the industrial age. You can also use lighting to bring out the industrial feel in your home, this little trick we learn from the guys behind Superlight. For instance, try using pendant lighting with Edison-style bulbs, this will give a real retro look if you hang it and choose fixtures that have rustic metal. You could go with buying new furniture that will bring the industrial look to your home. But there is a way you could save money in that section. Go with repurposing, reusing and recycling materials from other sections of your home to achieve that industrial appearance. If you are currently renovating go around your neighborhood to demolition sites. You can find a lot of wood and metal that you can reuse in your home, keep an eye for warehouses and barns since these are rich with materials you are looking for. Some lumberyards can provide you with reclaimed wood and industrial elements like railroad ties. You could also achieve the industrial look in your home by locating and renovating some of the most noticeable details in your home. You can renovate your room to look modern and contemporary, but try refacing the walls or a fireplace with exposed industrial materials. This will give then a finished look that is inspired by the industrial era. Concrete is a great material as well, it can be polished to achieve high gloss or left matte for a rustic appearance. If you want industrial look consider leaving nail heads and seams naked and exposed, this will only add to the overall style. 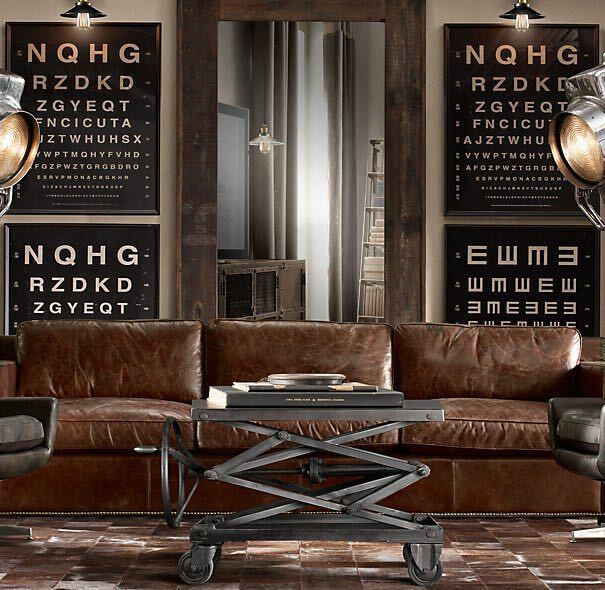 There are different ways of achieving the industrial look for your home. You can go with renovating, you can reuse and recycle, or you could simply buy furniture that adds to the industrial appearance. Follow these helpful tips on how to decorate your home in order to reach your desired goal.